Volunteering abroad is becoming increasingly popular, and for good reason! The benefits of good, well-developed, sustainable volunteering projects are numerous for both the communities involved and the volunteers themselves. Volunteers can develop skills, gain experience and enjoy a fulfilling, often low-cost trip abroad, while communities benefit from skills such as language tuition, public health education and community arts projects. Today’s post is brought to you by www.blueapron.com, a meal delivery service for busy people, or people who just want to try something new! However, there is another way of gaining such experience abroad — work exchange programs. Through sites such as HelpX, WWOOFing and Workaway, travelers can work approximately twenty-five hours per week in exchange for food and lodgings, a chance to live with a local host, and a cultural exchange. The work can vary, from nanny and housekeeping roles, to hostel and bar work, to education, farming and community based volunteering opportunities. There are many pros and cons of both work exchange programs and traditional voluntary projects overseas, for volunteers and host communities alike. One of the biggest risks of volunteering abroad is that the project will not be beneficial, or indeed will be harmful, to the community involved. 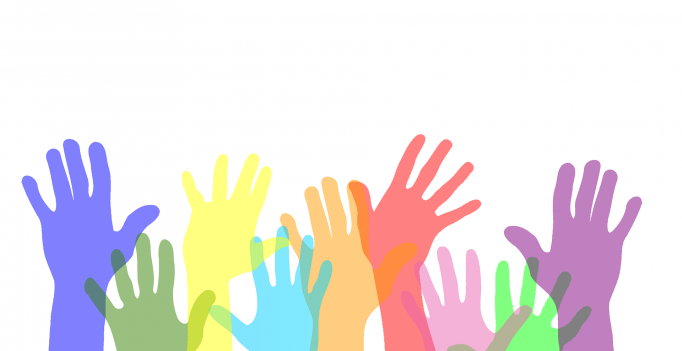 Voluntary programs do not necessarily consider the opinions or autonomy of the people they seek to work with, and volunteers can end up in situations where communities would rather they weren’t present. Cultural ignorance can cause offense and hurt, and voluntary projects could be taking jobs away from local workers. In contrast, work exchange programs typically use grassroots principles, where individual hosts list work opportunities that will directly benefit them. Although the voluntary work may not be altruistic — volunteers often help local families or businesses — there is minimal risk of cultural damage or personal harm. Sometimes, work exchange sites advertise the chance for volunteers to work on community projects in developing areas. In these instances, the advertisement will have been posted by a local person living within that community, who can host the volunteer throughout their stay. The call for volunteers will have come from directly within the community, rather than from an outside company. The increasing popularity of volunteering abroad also means it’s increasingly difficult to get involved with programs. With the exception of voluntourism, where volunteers pay a large sum of money to travel and work in a developing community, programs are often overrun with offers of help and volunteers have to endure waiting periods and selection processes before being placed on a voluntary scheme. The beauty of work exchange programs is that each volunteer can contact host placements directly, and apply to as many as they want. There is no wait-list or selection process, and hosts are incredibly receptive to offers of help. While Workaway is a safe and convenient option for travelers, it must be noted that the community impact of well-run, useful voluntary schemes is unrivaled in the work exchange community. Teaching English in somebody’s business in exchange for food and lodging obviously doesn’t impact a community as much as volunteering a free language education service for people living in poverty to gain an invaluable skill. Equally, renovating somebody’s house for a month will not have as bigger impact on a community as building emergency shelters for refugees or victims of a natural disaster. The key thing is to research a community, and in particular research the volunteer company in question. If the programs are community led, meaning local people identify their needs and have the deciding factor in which services they receive, then communities can benefit greatly from volunteer support. The personal safety of volunteers is paramount; good volunteer abroad schemes will take measures to ensure the safety and well-being of their service-users. Risks will be assessed, individuals will be vetted, and the overall danger level of the programme should be equivalent to the regular risk level of living in the particular country or community. Work exchange programs are grassroots organizations, and hosts are not typically vetted by an authoritative board. Checking the reviews of hosts online can limit any risk, but travellers should always be aware that they are traveling to stay with strangers, and are slightly vulnerable if traveling alone. The risk level is equivalent to hitchhiking, couch surfing or even staying in a hostel dormitory. Ultimately, the way in which you volunteer abroad is a personal choice. There are positive and negative aspects of both traditional voluntary programs and work exchange schemes. No matter what skill or specialty a traveler has to offer, they’re likely to find opportunities in both outlets. Research thoroughly to ensure a great experience for everyone involved! This website is hosted by GoDaddy and we have saved a phenomenal amount by using the coupons found at couponcodehoster.org/godaddy-promo-codes/. If you host a website or are thinking of setting one up, be sure to check them out.